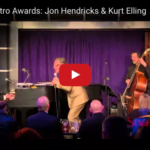 Grammy winner Kurt Elling sings Jon Hendricks’ “Doodlin’” as part of his introduction to the jazz legend and ASCAP Lifetime Achievement Award winner at the 31st annual Bistro Award show. 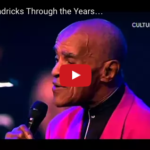 Here’s a glimpse of the life of Jon Hendricks who received the 2016 ASCAP Bob Harrington Lifetime Achievement Award. 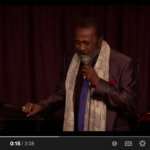 Known to many as the “James Joyce of Jive” and/or “The Poet Laureate of Jazz,” he was truly a master of his art and revered by all. 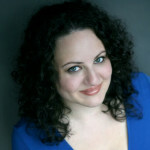 Bistro Award recipient Amy Wolk teaches us what we should already know but probably never thought about in her winning act. View the full article on StageBuddy.com. 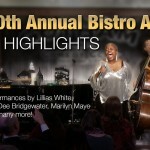 Watch what Bistro Award winner and jazz vocalist Sharón Clark does with “Give A Little Whistle” from “Pinocchio”! View the full article on StageBuddy.com. 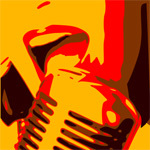 Tuesday evening, March 4 was filled with great music, outstanding talent, proud and joyous moments, and lots of laughs! 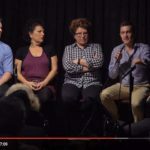 Take a look for yourselves, with the soundtrack provided by Bistro recipient Sharón Clark, and edited by StageBuddy.com. The 2014 Bistro Awards Red Carpet, hosted by Kevin Scott Hall and Tanya Holt and recorded at Gotham Comedy Club on March 4, 2014. Enjoy these interviews with the winners, creative team, and others attending the show!